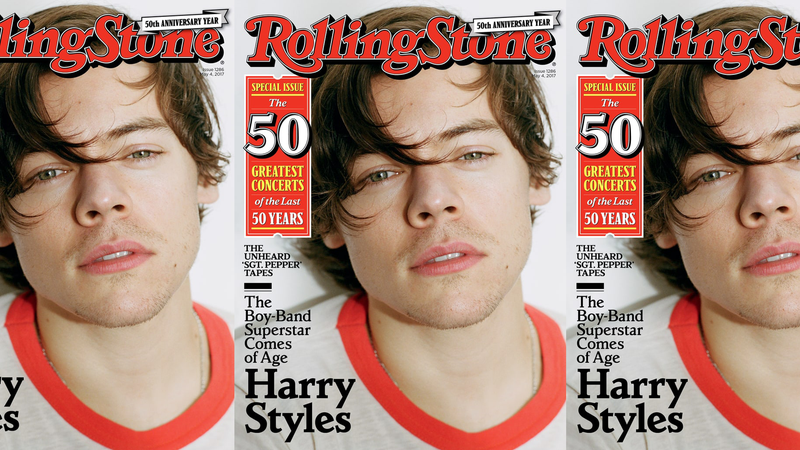 Harry Styles, the one with the long hair from One Direction, is the latest band member to go solo and thus inevitably cover Rolling Stone. The profile, presented as “a year in the life” of Styles as he ambles toward his solo debut due in May, reveals the artist as a curious soul with a tendency toward darkness, though he still looks every bit the schoolboy on this cover. At the risk of choosing sides, Styles comes across as less dull than his former bandmate Zayn Malik on paper. He’s a compelling counterpoint to Zayn’s pointedly sensuous air of mystery, which often feels wrapped in artifice. With his solo music, Styles says, “I didn’t want to write ‘stories.’ I wanted to write my stories, things that happened to me. The number-one thing was I wanted to be honest. I hadn’t done that before.” It’s what every artist says but something tells me this kid is gonna be alright. Hey, this kid is fine and we’re gonna like his music. Read the full profile here.